Oriental rugs are fine crafted rugs that contribute nicely to any formal or informal setting in your home. Open virtually any magazine on decorating and you'll find Oriental rugs used as integral part of the decor. Oriental rugs blend wonderfully with contemporary, formal, ornate, casual and traditional decorating styles. Oriental rugs are as adaptable to the casual living styles of today as to a formal board room. Oriental rugs are thick and rich, high in art content, often in multi-colored patterns or featuring representational designs. The typical color range for an oriental rug includes black, soft yellow, pastel pink, peach, apricot and blue. These vibrant colors are achieved by the use of time tested vegetable (natural) dyes. The artisan will mix various dyes together and blend the various colors throughout the design area creating a unique and beautiful masterpiece. Determining the quality of a particular Oriental area rug can be a challenge for the novice. One needs to determine whether a rug is 'open' or 'close' backed. 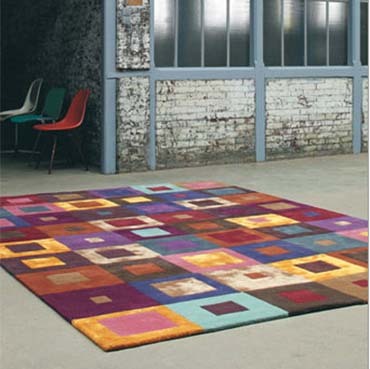 Open backed means that the back of the rug will have a cloth covering where the weave will be concealed. In a closed back rug, no covering is added. You will be able to determine stitch count, which brings us to another factor determining value. Stitch count is the number of lines the rug is rated when made. The lower the stitch count, the looser the weave. The higher the stitch count, the opposite is true, the tighter the weave. Stitch count is in increments such as '60 line', '70 line', '80 line', '90 line', etc. This is only half the story though. Along with stitch count, the thickness of the rug determines value as well. For example, a 5/8 90 line Oriental rug with a Peking Floral design with no known flaws, will sell more than a 3/8 70 line rug in the same design. Originally, oriental rugs were hand-woven in China. Oriental rugs are now made in Romania, Iran and India as well. Oriental rugs represent a good value as labor costs remain low. 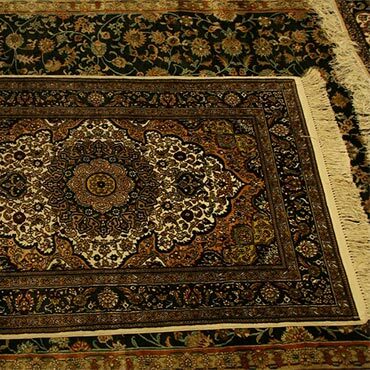 The most expensive oriental rugs are woven from silk, cheaper oriental rugs from wool. The warmth and beauty of Oriental rugs bring interest and luxury into almost every room in the house. Their amazingly resilient and durable qualities make oriental rugs perfectly suited for heavily traveled areas as well as seldom-used parlors.